The winners will be presented at our website December 15st. The pictures have to be sent to us before October 26th. Send the pictures to: photosmalandet@gmail.com Smålandet preserves the right to use any of the pictures entered in the competition. This year we have received many great pictures and it has not been easy to select the winner of the year. First prize goes to Markus Loers from Korschenbroich in Germany. Markus wins first prize with his picture of the twins Olle and Lena. 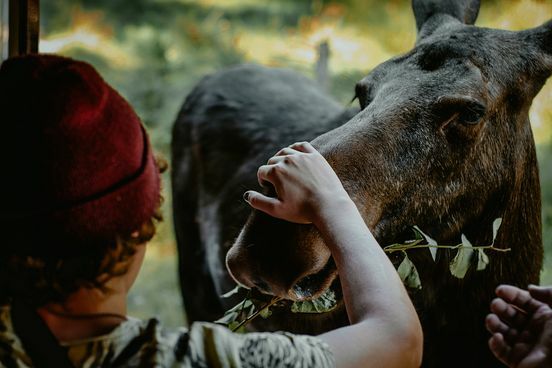 The image is perfectly taken with fine sharpness and caught both of the moose attention. Second prize goes to Elisabeth Wendling from Hannover in Germany. 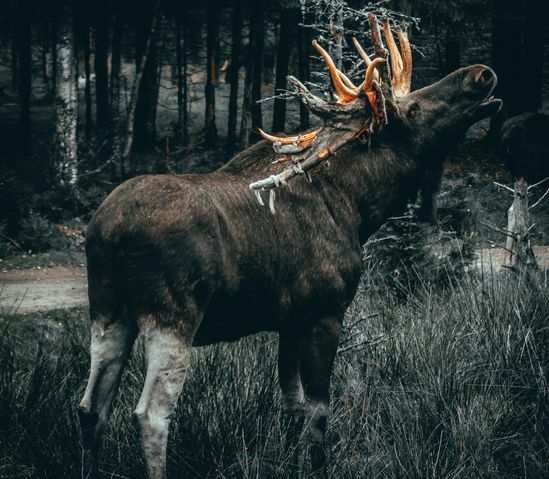 Elisabeth has managed to take a nice picture of the moose Ludvig with his huge crown. In the background, we see how the sun shines while it is raining lightly from the sky. The picture looks like a painting with many details and a fine harmony. Third prize goes to Klaus-Peter from Germany. 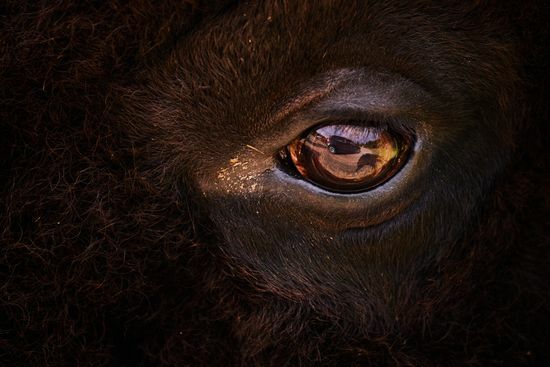 Here has Klaus-Peter managed to take a picture with a sharp focus on the bison bull Montana. The image could represent the extremely dry summer. It looks like it's from a movie directly from the prairies of the Wild West. Thank you to all who have participated in the competition.